The premise of the Then and Now series is to pair up historic photos of a town with modern shots taken from as close to the position of the original as possible. 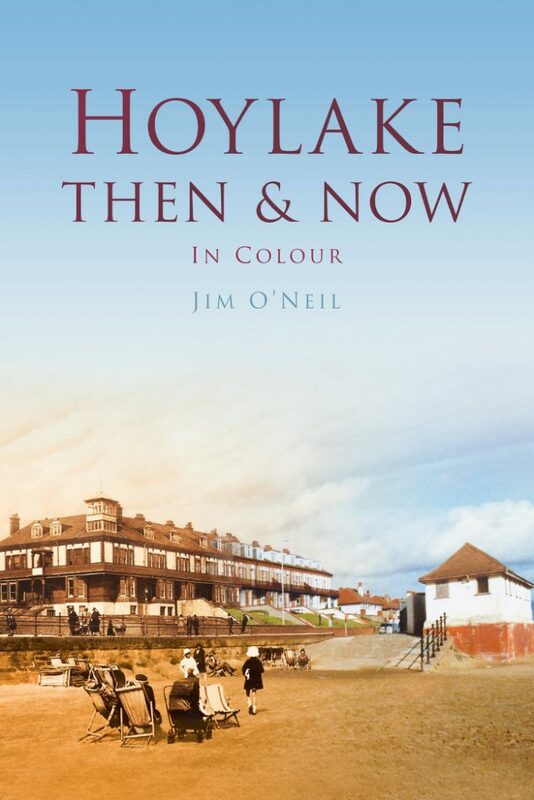 Hoylake Then & Now is Jim O’Neil’s contribution to the format. Each double page spread shows a large version of the older image, together with a smaller modern shot and a couple of brief paragraphs comparing the two. 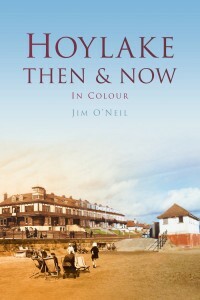 Jim O’Neil is an authority on Hoylake, having lived there for over 35 years and written such books as West Kirby to Hoylake, giving local history talks in his spare time. I think it’s because of this that the book comes across as really personal. There’s a love of the place which comes through on each page, born from a close personal connection. There are those times when he gets a little over-excited about current events and projects “this year”, and these phrases will date the book’s text quickly. 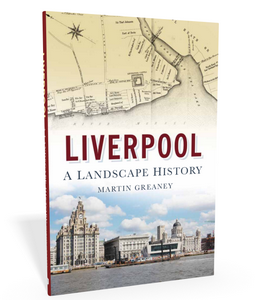 They’re often not directly relevant to the pictures being discussed, but they don’t ultimately detract from the book’s great interest to anyone researching Hoylake or the Wirral’s history. The best shots here are those which take in a large area, such as a row of shops receding into the distance or the roundabout on Market Street which comes up frequently in the first few pages. These images show how buildings have been remodelled over time, as well as mapping changes to the roads (and their white and yellow lines). These photos also show how some scenes have become dominated by the trees which were mere shrubs in the Victorian period. It proves how bland some of the changes have rendered the buildings: shopping arcades which once had ornate iron and glass canopies (such as those which survive on Lord Street in Southport) have become flat-fronted betting shops and supermarkets. Other shots show how the Victorians loved their formal planting schemes on central reservations and roundabouts. These too have gone, and despite the continuing efforts of the Friends of Hoylake and Meols in Bloom (p.62) it’s a shame that less attention to detail is paid to modern streetscapes. This is just one of the key changes highlighted by this book. There are a lot of church shots, which is perhaps to be expected in a small town of Hoylake’s age. However, these images are closer to their subject than the street scenes, and so the areas have generally changed little since the older photos were taken (assuming the church is still standing). The main change that has occurred is that the whole building has become obscured by large trees. One shot of Holy Trinity Church is little more than trees and a small stone wall. It doesn’t add anything to a historian’s understanding of the area, especially as such a change is seen across the town. O’Neil’s own modern shots, which were all taken on one “enjoyable and amazingly instructive” sunny day are also of a high quality. Despite the bright sunlight the pictures have come out well, and are easy to compare to the older ones, which O’Neil also compliments for their quality. I’ve seen many an amateur historian’s poor attempts to create their own illustrations (to be honest, I’ve been there myself…), so it’s good to see that this wasn’t a problem here. Hoylake changed from a well-to-do rural retreat in 1800 to a popular seaside town in 1900 and beyond. It was part of a group of Wirral and Lancashire towns which played this key role in history, as people’s leisure time and health concerns developed. 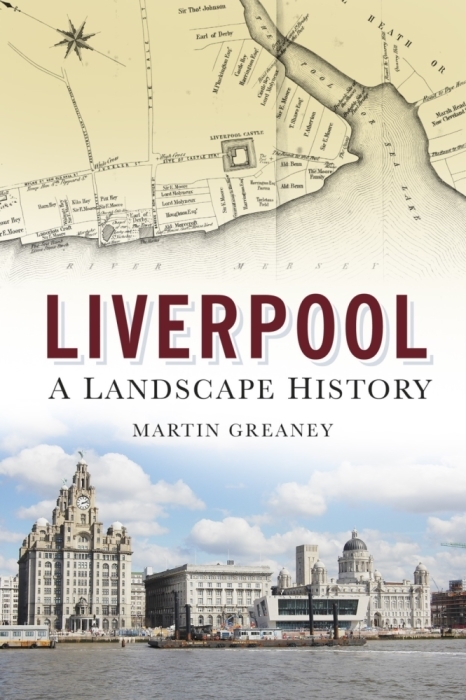 The book therefore is a useful addition to the library of anyone who is interested in the wider context of Liverpool’s history during this period, together with other titles in the Then & Now series (such as Daniel K. Longman’s Liverpool Then & Now). Hoylake Then & Now is available on Amazon, or directly from The History Press. Note: History Press supplied me with a complimentary copy of the book for the purposes of this review.